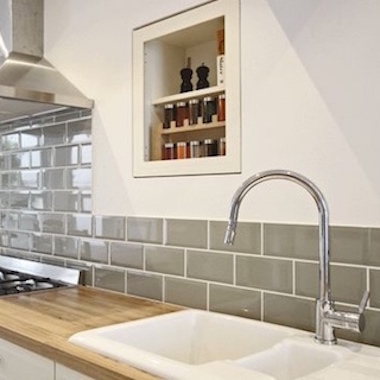 Bevelled edge small brick shaped tiles in a metro look - perfect for bathrooms and kitchens especially. Basic colours to use maybe in a brick pattern or half and half on your wall. These ceramic wall tiles have a number of formation possibilities - and can look great in a herringbone pattern or with a different coloured grout.